The Imagination Coalition developed through PROJECT 8, a yearlong strategy for increasing youth voice and leadership through the arts in 2018. 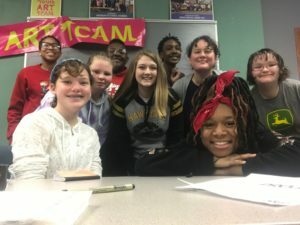 (It was the eighth year of Youth Art Team that began with these eight eighth graders at the helm. Some have been on the Youth Art Team since kindergarten.) Now the Imagination Coalition is helping to envision the Youth Art Team’s next phase and becoming equipped to lead it. Youth Art Team prioritizes student decision making from start to finish. 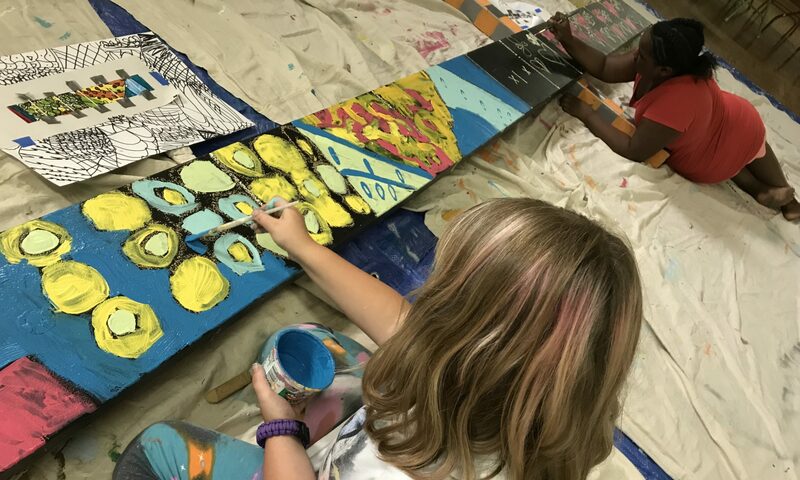 Adults provide a framework for each project, walk young artists through a brainstorming process that allows them to determine the direction of their work, and include them in the planning and implementation. Young artists are encouraged to set bold goals that allow them to take risks in a supportive environment. They are further challenged to see themselves as community change makers.